Dremel problem... (update 9/17) - Zombie Pumpkins! Sharing knowledge for the art of artificial craft pumpkins. If I were to just kick it on a higher RPM setting, it seems to run, but you can tell it's struggling, and after about 30 seconds, the keyless chuck starts to smoke because of the friction, so I shut it off to avoid fusing the friggin thing together, and being screwed royally. 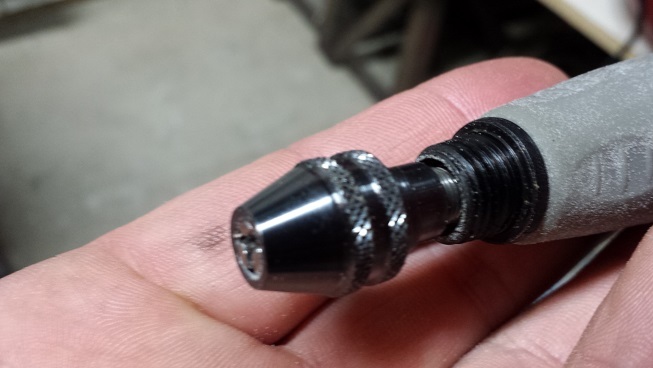 I'm wondering if there is a keyless chuck designed for these smaller diameter bits, so as to avoid the flex shaft tightening down so deep on the threads of the collet key adapter. Has anyone had this happen to them, and if so, what was the fix? I'm considering buying a new keyless chuck, or reverting back to the original collet keys until I can find a solution. I THINK it may be an aftermarket keyless chuck from eBay, but I need to check my history first. I thought it came packaged in a Dremel brand store hanger case, but I know I bought some other Dremel brand equipment as well, so I may be confused. EDIT: After some fairly quick research I have discovered, it seems, that the keyless chuck adapter is advertised for bits 1/8 - 1/32, so I'm thinking this is the root of my problem since what I'm using right now for tiny tiny details are some of the smallest little drill bits I have ever seen ranging in size from .5mm to 3mm. Last edited by chuckwagon on Thu Sep 17, 2015 6:59 pm, edited 1 time in total. I have used several keyless chucks on my dremel with bits way smaller than 1/32 and have never had this problem. I would make sure I have a dremel keyless chuck and try it again. Pumpken wrote: I have used several keyless chucks on my dremel with bits way smaller than 1/32 and have never had this problem. 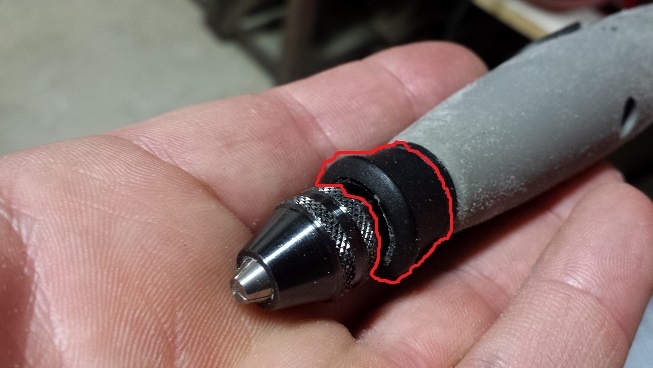 I would make sure I have a dremel keyless chuck and try it again. Ken, I forgot you are also an avid Dremel user. I looked through my eBay history, and found that it was definitely a Dremel brand product. I went to their website, and could only see the same chuck that I already have (product #4486). It's interesting that I've had issues while you say you've used yours numerous times without problems. Maybe mine just came from a bad batch, or improperly machined componenets. I've emailed them directly to see if they possibly have anything, even a prototype, they'd be willing to send, or sell to me that would specifically be designed for smaller bits, but I have my doubts... I did find a few aftermarket chucks on eBay that are specifically designed for these extremely small bits, and it was really really cheap so I went ahead and bought one. I'll admit I'm not a fan of using off brand products for my Dremel, but if it works, it works I suppose. The chuck itself should have no interferrence on the shaft whatsoever. Two things to check....have you serviced the cable inside the flex shaft? I do this several times a year. It involves removing the cable, cleaning, and re-oiling. Next comes your brushes. they are easily replaceable and cause 90% of dremel function issues. Also...how is yours set up? if there is any binding in the shaft it will cause pre-mature failure. I hand my unit from the ceiling with a bungee cord so that the flex shaft tip is just the right height and the shaft stays straight. I have NOT serviced the cable... Didn't think that was possible, but now that I know, I will do it as soon as I'm off work today. Same goes for the brushes. As for my setup, I have the Dremel brand workstation tower and I hand the tool off of that hook, but I did intend to do the bungee chord method this year now that I've done some cleaning and rearranging in my garage to make space for my hobby stuff. Stoney posted some pics of his setup with bungee chords on my photo thread last year and it inspired me. looks very efficient. I'll check YouTube for proper cleaning and maintenance procedure vids, unless you can think of any off hand that would be helpful to link me to directly from here. I've never done it, so i'll have to have a bit of direction. I'm assuming just using wd-40 or lithium grease is okay, unless I'll need something more specific? i use a very light oil. BOOM! Exactly what I needed, Doh! Thank you! 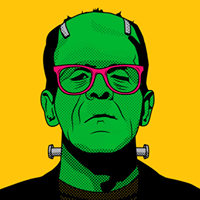 I have been meaning to join the forums over at Stoney's for quite some time now, but have just never got around to it. I shoulda known I could have found such an explanative thread directly from him. And... Very nice setup with the flex shafts you have there. I've got something very similar in mind when I got to do a better setup. Biggest tip I can give....keep those flex shafts straight! They say you can bend them up to a certain radius but it will always cause friction. Friction leads to heat...heat leads to failure. Excellent advice! Thanks for the insight!! Update: I replaced the brushes on my Dremel, AND cleaned and lubed the flex shaft... still had the same issue as before. I contacted Dremel, and explained my problem in detail hoping that an engineer or a product specific specialist could give me insight. After a couple of emails, they said they were sending me a new keyless chuck, free of charge, and asked me to try it... Doubtful it would resolve the problem, I accepted just out of respect and appreciation for a freebie. I humored them... but also, this was a customer service rep I dealt with, not a product specialist. It's worth mentioning at this point that in the email exchanges she made references to "we", as if to imply more than one person was working on my case... Yes, I was given a specific case number and everything... or maybe it's just business talk to refer to your company as a collective, solitary unit like the Borg on Star Trek? 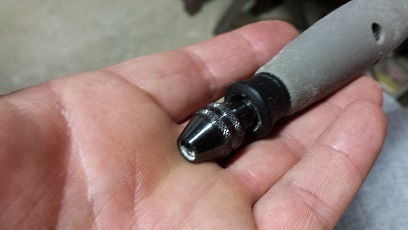 So, this is my flex shaft, with keyless chuck in the wide open position... You can plainly see how loose the chuck is, even to the point of being able to see the threads on the shaft underneath. This is the flex shaft fully closed... or as close to fully closed as I can get it. You notice how absolutely tight that gap between the bottom of chuck, and the flex shaft is... THIS is the problem piece, and I traced it out it (sorry, MS paint with a track pad on my laptop). When I place any micro drill bit (smaller than 1/32nd) into the chuck, and tighten it down, it's coming into contact with this "shield", as I am calling it, and causing the motor on my Dremel to bind. This is also what what is causing the high amount of heat in the keyless chuck (friction) when you turn on high RPM's just to get some action. Obviously, I'm not running my Dremel like this, because it would totally kill the motor. I took the shield off, and I was able to expose just a few more threads on the flex shaft. I wanted to do this just to see if the chuck was going to tighten down any further. 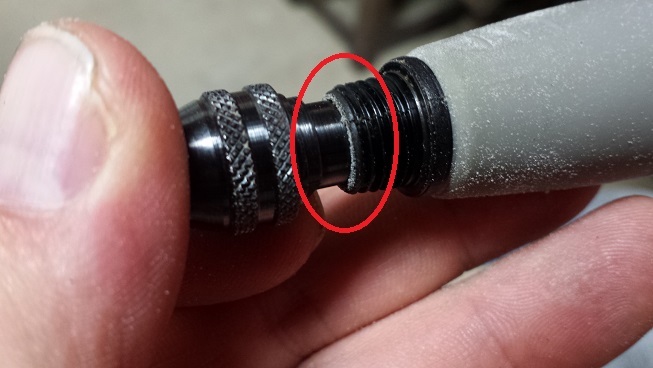 I tightened it down as far as it could go, and again, it bottomed out (circled in pic), but only this time it bottomed out against the male threads on the flex shaft itself. Now, I have not yet gotten to another carve that I have needed anything much smaller than a 1/16th or 1/32nd, but just for reference, I put one of my micro bits in, and there was still a bit of binding in the motor... Less than before, but STILL enough to cause concern for motor fatigue and safety. Now, I really doubt that I'm going to be doing much carving that would warrant anything smaller than a 1/32nd bit, but with some of the more recent carves I've done from Stoney's site, It does make it much easier to have a very small bit when cutting along very thin lines, or rounding very defined turns and edges. The larger the bit, the more ambient vibration on surrounding areas on the surface, and if I've already made a pass on the other side of the cut I'm working on, it can, and has broken on me before, because just like the ambient vibration, the larger bit creates a larger gap when cutting. I like to think of it as "cracks vs. hairline fractures". These are really the only times, I'd feel like I would want to use the micro bits. Just for safety sake, and being cautious. To sum it all up, I THINK I can make smaller bits work, just not super crazy small bits...yet. At least for now, I've managed to figure out something that can help give me that finer detail. I've replied to Dremel and let them know where we stand currently, and am waiting to hear back. I don't know if anything can be done at this point, but at least my issue may insight a new keyless chuck design for smaller bits... One can hope, anyway. Yeah That Black Piece is called a "Handpiece Cap" And Should stay on, there Should still be a Gap. It Could have Been a BAD Chuck that ruined the Handpiece Cap. You Either Need a New Handpiece Cap - Or the Entire Flex Shaft as a Whole needs to be Replaced. Yep, I already sent them just before posting here, and am waiting for a reply from Dremel. Honestly, to save time and hassle, I might just get a new flex shaft anyway, unless Dremel replies pretty swiftly offering to give me a free one of those as well, but I don't see that happening. But then again, I never thought they'd just send me a chuck either... fingers crossed. There is certainly something wrong with that flex shaft. Fully closed my keyless still has a 1/8th inch gap. Doh wrote: There is certainly something wrong with that flex shaft. Fully closed my keyless still has a 1/8th inch gap. That's a considerable amount of space! I'm wondering if the threaded section of the flex shaft has somehow become further inset than it should be. No idea how that would have happened though... it's becoming a very interesting little problem.